Located on the west shore of Skaha Lake, Kaleden is approximately half way between Okanagan Falls and Penticton (just a five-minute drive away) and offers panoramic views of the lake and the city. 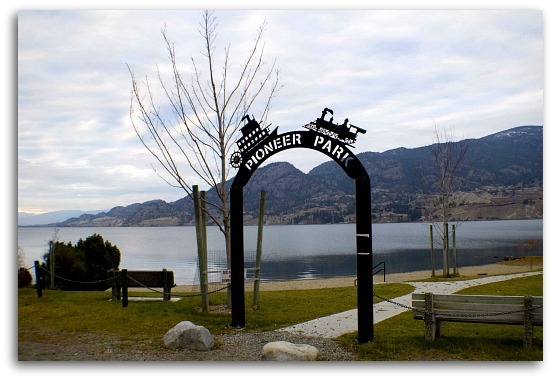 The close proximity to Penticton makes it a popular bedroom community for its 1,300 residents. Kaleden is well known for its orchards and vineyards, with nearly 400 acres of agricultural land. Gently rolling topography just off Highway 97 turns into a rugged steep incline closer to the lake. Being on the west side of the valley, the area experiences morning sun and early evening shade. 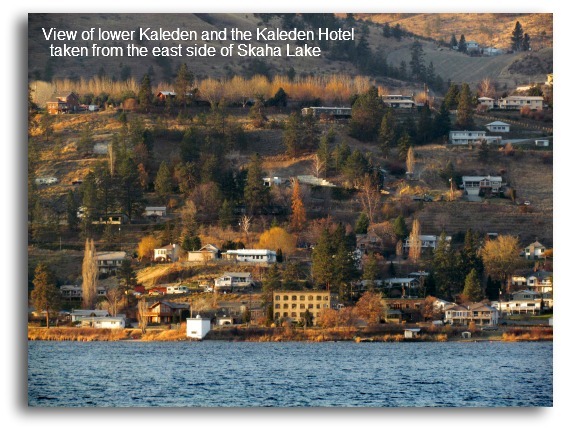 Kaleden is part of Electoral Area D of the Regional District of the Okanagan Similkameen. In the early 1900s James Ritchie started the process of subdividing and developing the western hills of Skaha Lake. In the spring of 1909, this new development was named ‘Kaleden’ (pronounced Cah-Lee-den), which purportedly means Beautiful Eden (the Greek word Kalos and the biblical Eden). The biggest challenge for the new community was getting water onto the semi-arid land. Water rights for Shatford and Sheep Creeks in the distant Marron Valley were obtained and construction began on a diversion dam and wood stave irrigation pipe. The Kaleden Irrigation District has a detailed history of the construction of the irrigation system and, today, supplies water to the community from Skaha Lake, servicing approximately 550 residential connections. 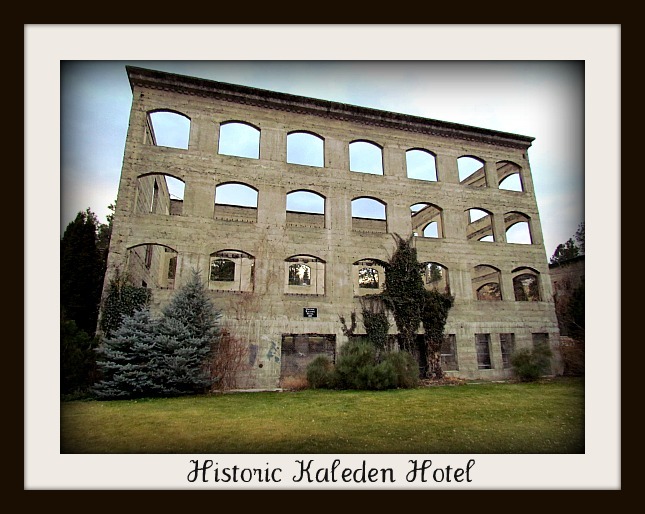 The historic Kaleden Hotel is a prominent landmark on the shores of Skaha Lake. This shoreline are was once very active with a packing house beside the hotel. At the onset of the First World War, the hotel was closed and sat idle until the 1940s when it was stripped of all salvageable material, leaving only the concrete shell that remains today. Across the street another historic building used to be the Kaleden General Store. It is now home to Flambé Catering, a popular location for weddings and parties at the edge of the lake. 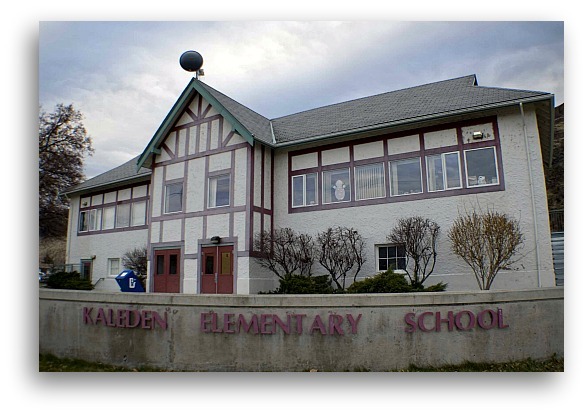 Kaleden is part of School District #67 (Okanagan Skaha) and home to Kaleden Elementary School (Kindergarten – Grade 5). Students after Grade 5 are bused to Penticton’s Skaha Middle School and Princess Margaret Secondary School. Other amenities and services include a community hall, a volunteer fire department, post office, general store and regional library, all of which are located on Lakehill Road, which is the main road leading from Highway 97 down to the lake shore. Kaleden Pioneer Park is a large waterfront park with a child-friendly beach, playground, tennis courts, picnic tables and firepits. Stop there on a windy day and you’ll likely see kitesurfers ripping thru the waves and pulling tricks in the air! Also at the park is direct access to the KVR hiking/biking trail, the railbed for the former Kettle Valley Railway. Head south and you’ll reach Okanagan Falls and the trestle, or go north to Penticton and beyond. Vehicular traffic isn’t permitted on the trail, so it’s a nice quiet way to experience nature alongside the lake. Banbury Green RV & Camping Resort – this lakefront campground is quiet and private, offering 65 sites - pets are welcome! Camp-Along Tent and Trailer Resort – easy access, located right off of Hwy 97. Nestled in an apricot and pear orchard overlooking Skaha Lake, it has a heated swimming pool. Ponderosa Point – 26 privately owned cabins with lakeviews and a private sandy beach. Many of the cottages are offered as rentals. Eden House B&B – beautiful log home, situated on three acres with fabulous views. Four rooms, each with their own unique theme and an outdoor saltwater pool. Something Special B&B – located just off of Hwy 3A close to Twin Lakes. Private and quiet with no cell service and no internet, the motto is “Keep it simple”. Linden Gardens – this stunning nine-acre lakeview property is home to a beautiful variety of flowers, trees, shrubs, ponds and streams. The west-coast style building houses the Frog City Café, offering fresh food and specialty coffees. This location is considered one of the best wedding venues in the South Okanagan! Kraze Legz Vineyard and Winery - it has a unique 1920s speakeasy theme (hence the ‘keyhole’ on the winery door and on the back of each bottle of wine). Stop in to taste their award-winning wines and take in the panoramic views from the picnic area. St. Andrews By The Lake – located approximately seven minutes from the village on White Lake Road, this development features a picturesque nine-hole golf course bordered by an attractive housing community nestled in the surrounding forest. The course has been voted the best nine-hole course two years in a row and there is a full service restaurant and bar in the club house. Dominion Radio Astrophysical Observatory – located on White Lake Road this facility is Canada’s largest observatory and is known to astronomers around the world. The topography and environment in the White Lake Basin is unique, making it ideal for capturing radio waves from deep outer space. The observatory has been in operation since 1960 and has been the leader in radio technological development. The facility has open houses from time to time and is a popular spot to view significant meteor showers. Any time, it’s worth the drive to see the impressive 26-meter telescope! Twin Lakes Golf & RV Resort – located approximately 15 minutes west of Kaleden on Highway 3A . A scenic 18-hole golf course that offers a club house with restaurant and a full hook-up RV resort. Fruit stands – located on and just off of Highway 97 are a variety of fruit stands, all offering locally grown produce and local preserves and honey. One of our favorites is at the corner of Larch and Spruce Avenues - this farmer offers a ‘serve yourself honor system stand’! Construction is complete on the new Okanagan Falls Wastewater Treatment Facility. This $11.5 million state-of-the-art facility will ensure proper waste-water treatment not only for Okanagan Falls but for the entire south region of Skaha Lake. Kaleden residents will have the opportunity to connect to the new sewer system. This also means more possibilities for development, since the one-hectare minimum lot size for subdivisions will no longer be applicable. 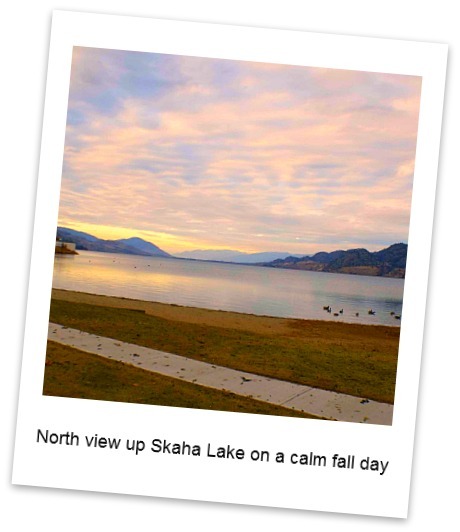 To keep up to date on what’s happening in and around Kaleden, check out the local publication Skaha Matters. This free monthly newsletter is delivered to all residents, it contains community news for Kaleden, Okanagan Falls, Skaha Estates, Heritage Hills, Twin Lakes and St. Andrews. All issues are available online too!